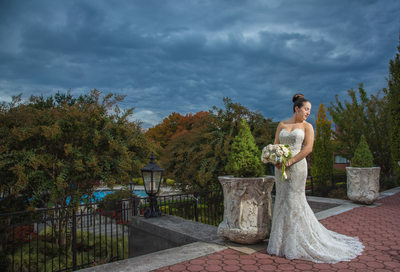 If you’ve always dreamed of a glamorous wedding, you’ll love the Glen Cove Mansion. 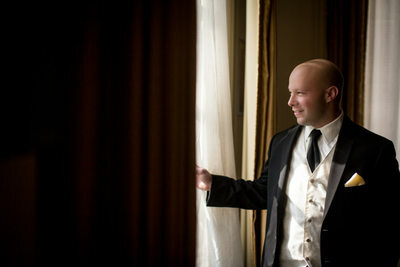 Glen Cove Mansion staff will help you create an entire weekend for you and your guests. From the moment the valet takes your car and the lobby hostess greets you as you step through the front door, you’ll be surrounded by luxury and comfort. 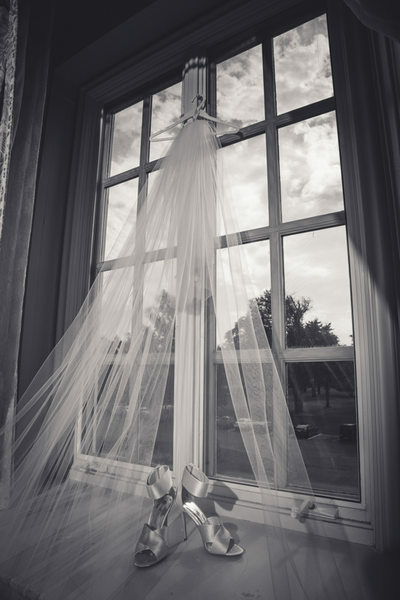 The Mansion is full of high-end amenities: exquisite grounds, parlor maids, custom linens and a gourmet team of chefs are the perfect compliment to the beautiful building. 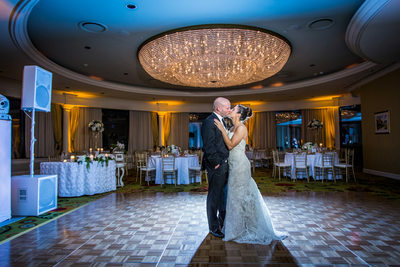 The majestic ballroom can accommodate up to 220 guests for an indoor reception - or, for a really glamorous event, they can host over 1000 guests in their outdoor space! It’s truly a place like no other. At Glen Cove, they don’t just fully customize your gourmet menu. 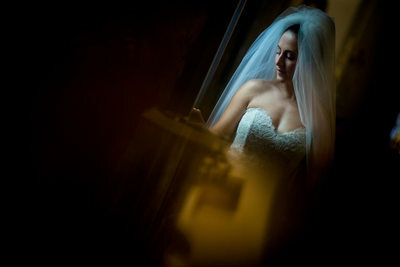 They also create a specialty wine and champagne list, dessert selection, and beautiful wedding cake. 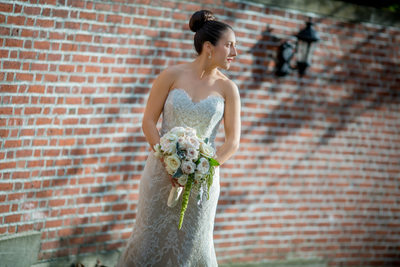 And then, of course, there are the perfectly designed decorations and floral arrangements. 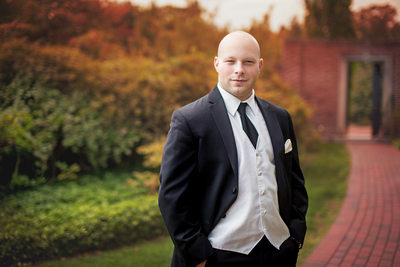 No matter what style you envision for your wedding, the staff at Glen Cove can make it happen with style and ease. And best of all, they’re incredibly fun to work with! 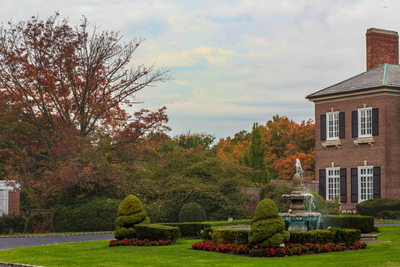 For photos that are worthy of a high-fashion magazine, the Glen Cove Mansion really has to equal. 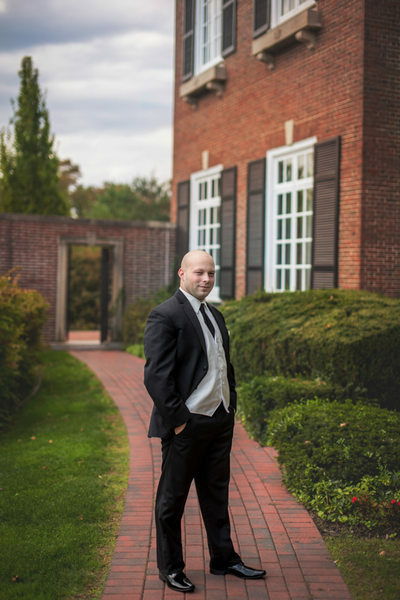 From the grand entrance way flanked by columns to winding brick walkways to the chandelier-lit ballroom, every inch of the grounds and mansion are picture-perfect. 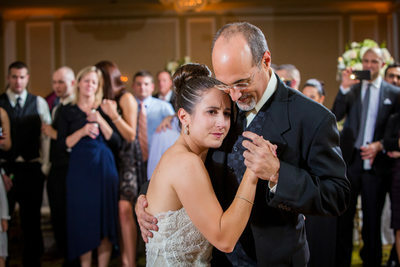 You love every moment you spend at Glen Cove -- and we’ll be there to immortalize each one. 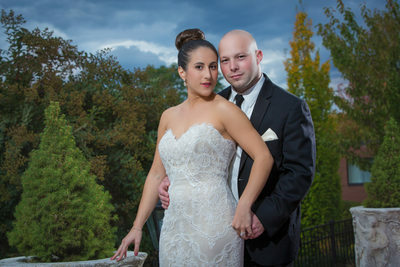 Amazing Long Island wedding photography location.